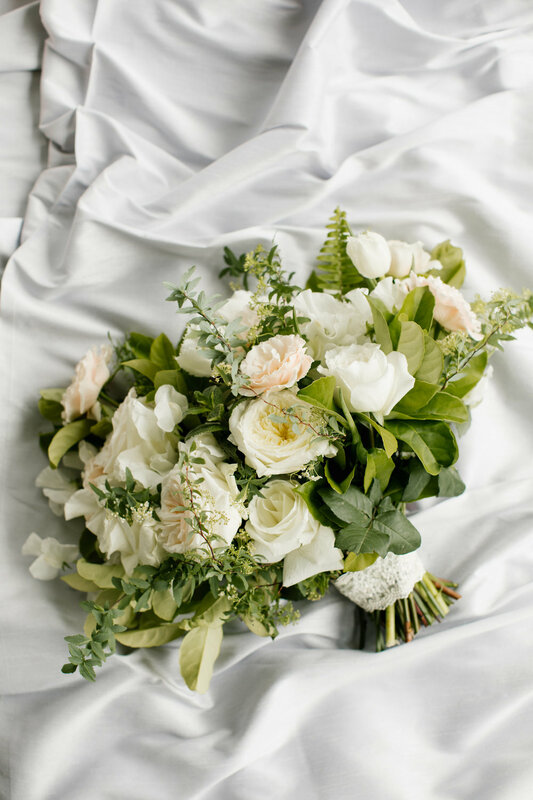 I always love getting the chance to share images and videos from our clients weddings! It's so much fun to go back and relive the day and savor all the memories. 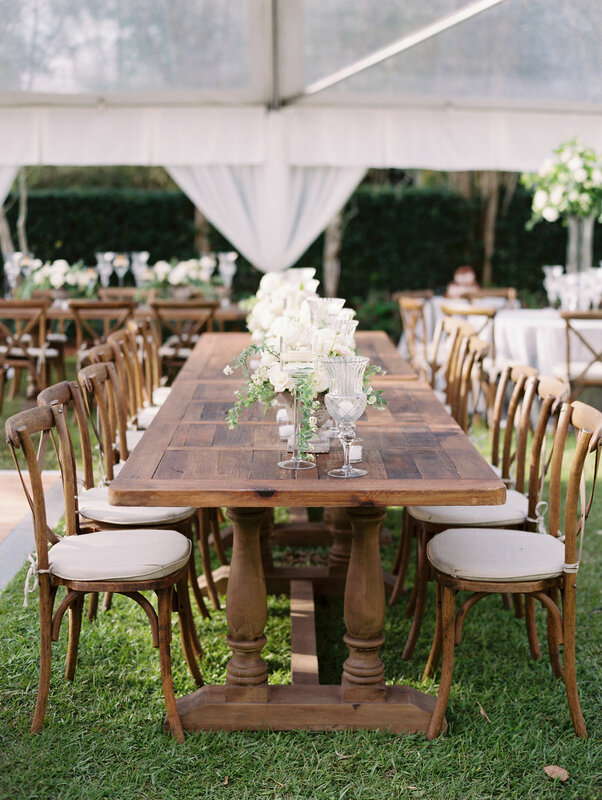 Check out Cali + Arrington's wedding featured on Style Me Pretty! 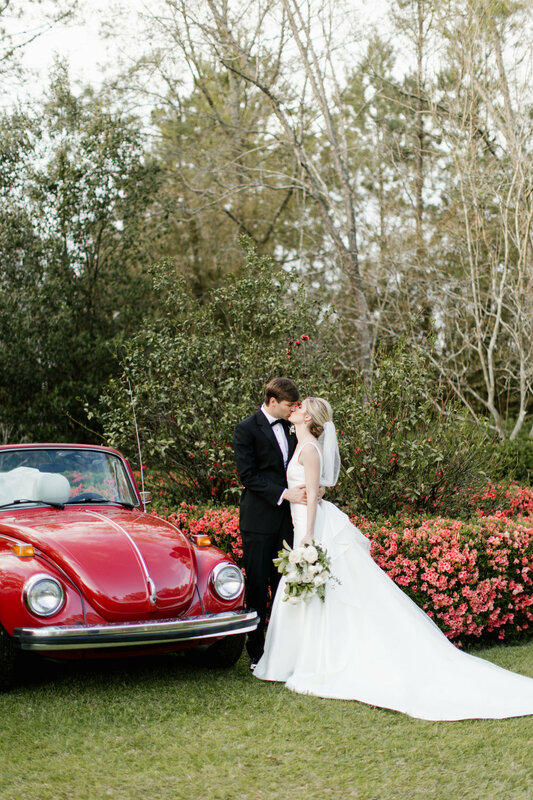 Cali + Arrington's wedding day was pure magic. There really is no other way to describe it! There was a threat of rain all weekend. And when you're planning a complex outdoor event that includes constructing an on-site kitchen .... well, that just makes things a bit more challenging. But my team was up for the challenge! We began our installation 2 days before the wedding. We had a multi-tent set-up to accommodate the large size of the wedding - a large center tent with 2 bar tents on either side. The day before the wedding mother nature did not want to cooperate. We did our best to protect the grounds of the venue and keep high traffic areas looking pristine. But even a little rain in Louisiana can cause a problem. Luckily things started to dry up by the afternoon. We were left with high humidity, but I'll take that over rain any day! On the day of the wedding, we still had the threat of rain. 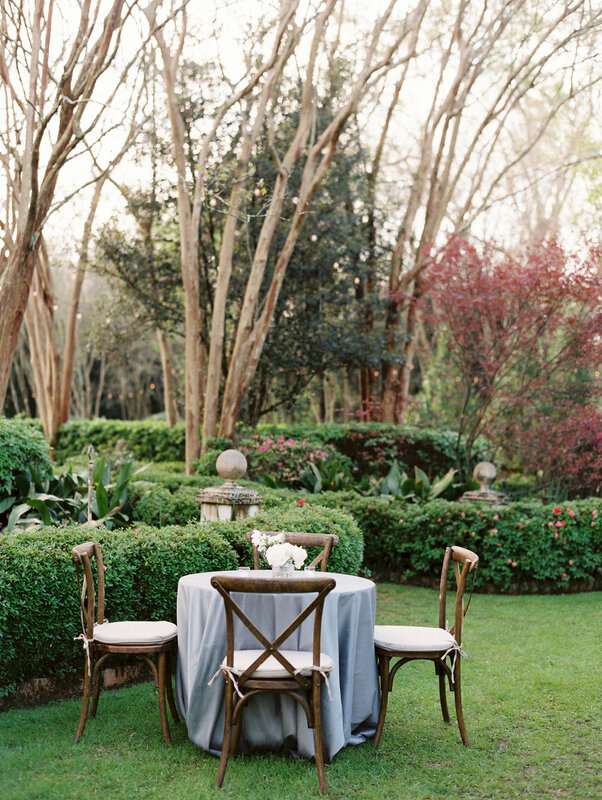 Which doesn't sound like a big deal, but when you're planning a wedding with key outdoor spaces in the plans, it's a big deal. I kept a very close eye on the weather all day as our teams worked really hard to finish installation and set-up. Someone was looking out for us - or maybe it was the bourbon we buried at the venue?! 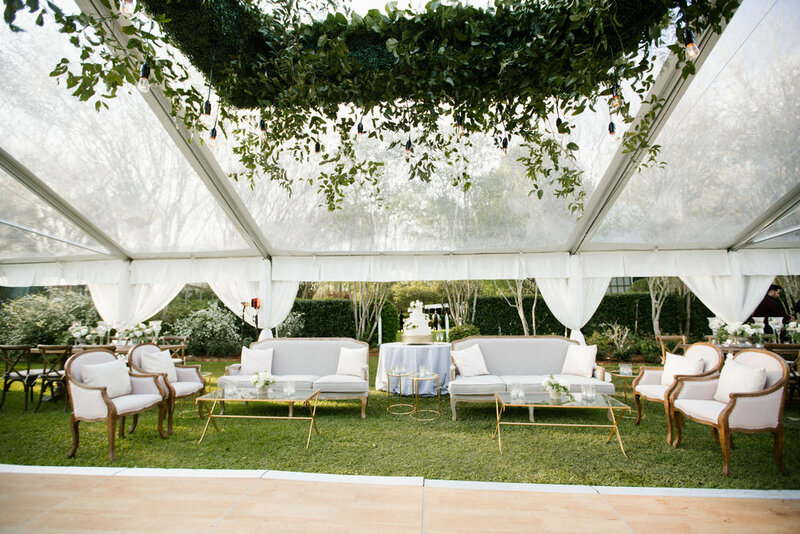 - because while there was just one or two small showers, everything cleared up just before guests arrived and sunshine began to peek through the clouds, creating a beautiful glow at the North House. 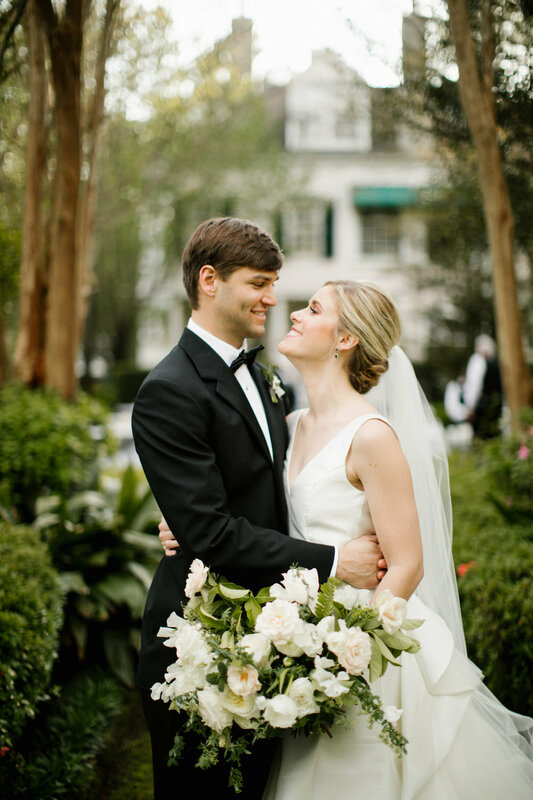 I absolutely adore this bride + groom - two of the sweetest people you'll ever meet! 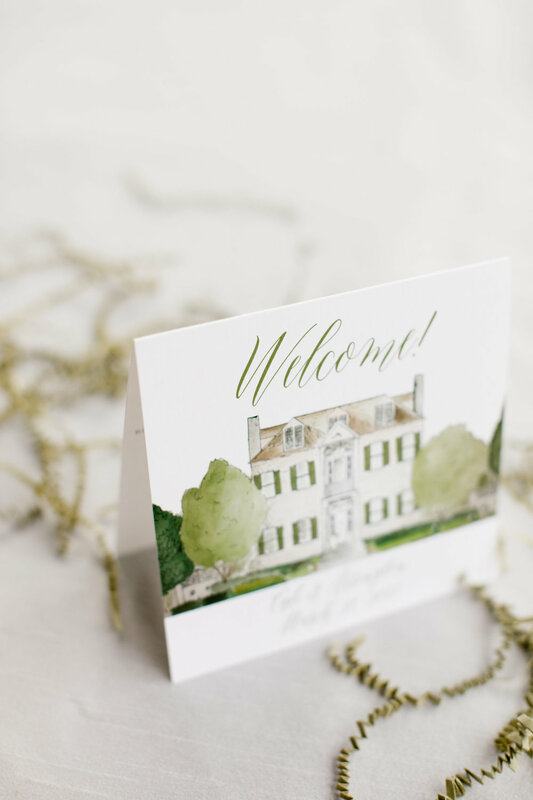 And it was a fun change of pace to hop down to my home state to plan, design and produce a wedding. With the wedding being on St. Patrick's day, Cali wanted to bring a little luck of the Irish to her wedding day. 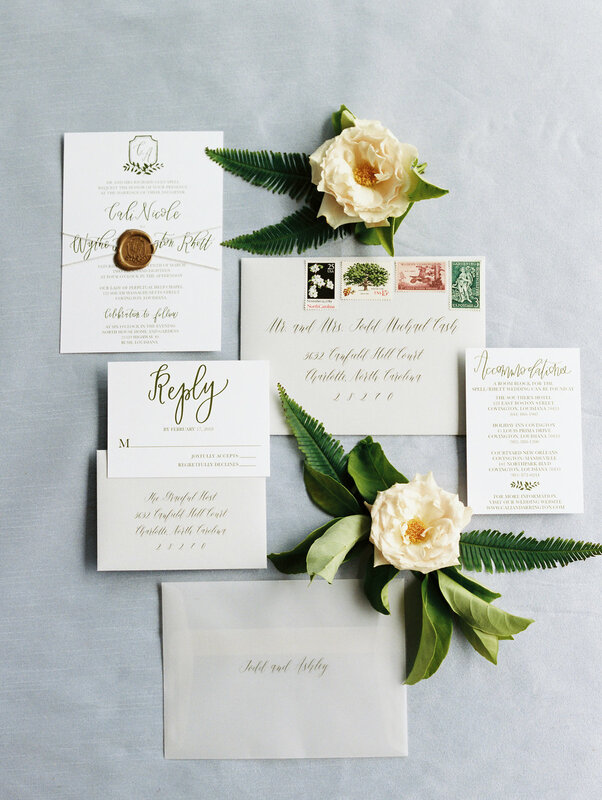 She chose a neutral color palette with lots and lots of lush and textured greenery. (We even incorporated little four leaf clovers into the bar accessories!) 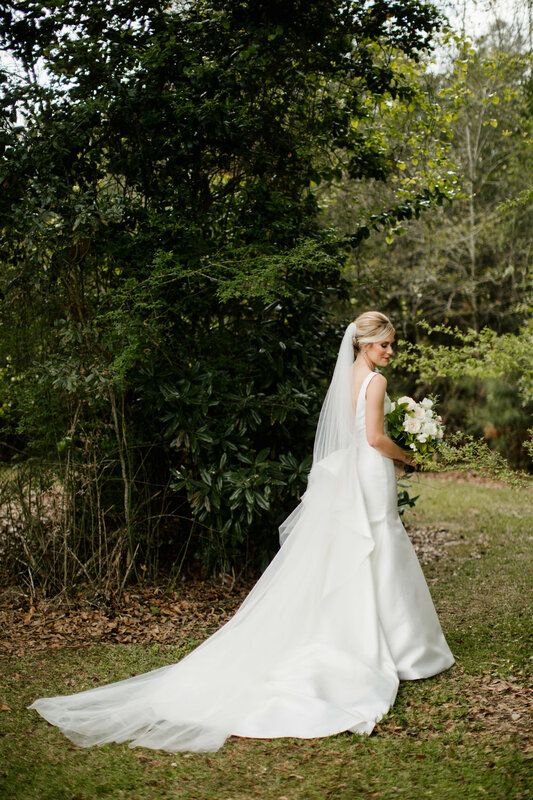 Our brides personal style is classic and timeless, with a love of clean lines and no fuss. 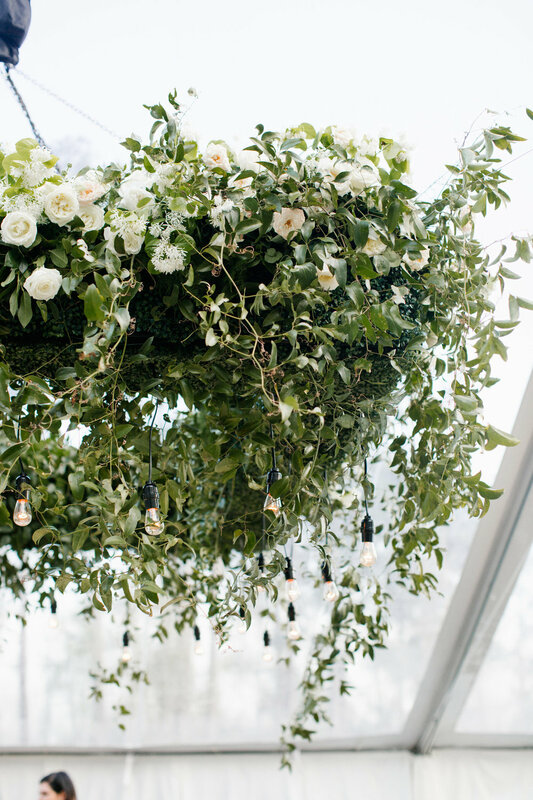 And while Cali loved the idea of an organic garden party, with sprawling greenery and loose lines, we made some slight adjustments to the traditional garden party aesthetic so that our bride could have the look she loved within a style that felt most like her. In true Louisiana fashion, there was a large emphasis on the party! Good food and entertainment took centerstage. Our menu was full of Louisiana favorites like a raw oyster bar, jambalaya, fried catfish, and BBQ shrimp. And the band Crescent City Soul kept the dance floor packed all night long - Y'all, this was one killer party ... just wait until you see the video! The signature drinks on the bar was another fun detail for our bride + groom and a chance for them to incorporate their beloved pets into their wedding day - each drink was named after their dogs. Cali + Arrington are both very family focused. And they both come from very large families! 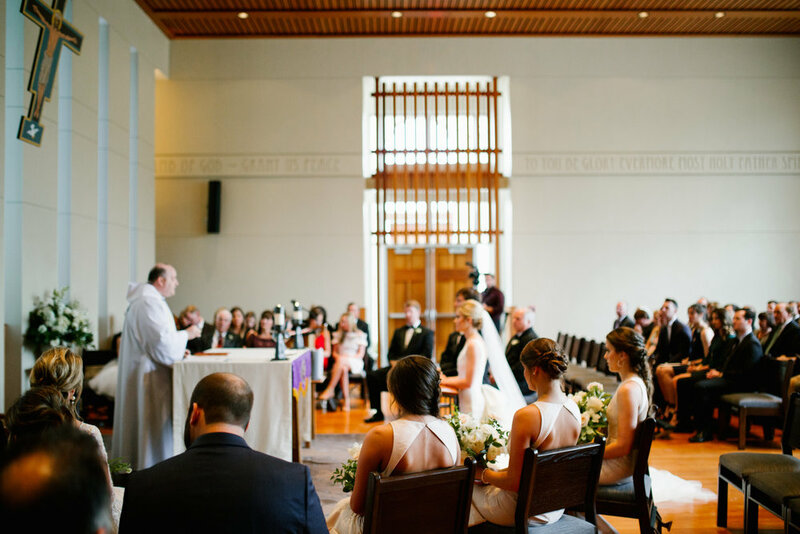 It was important to them that they get married in a church ceremony surrounded by their family and close friends. The chose Our Lady of Perpetual Help, which is the chapel at the high school Cali attended. 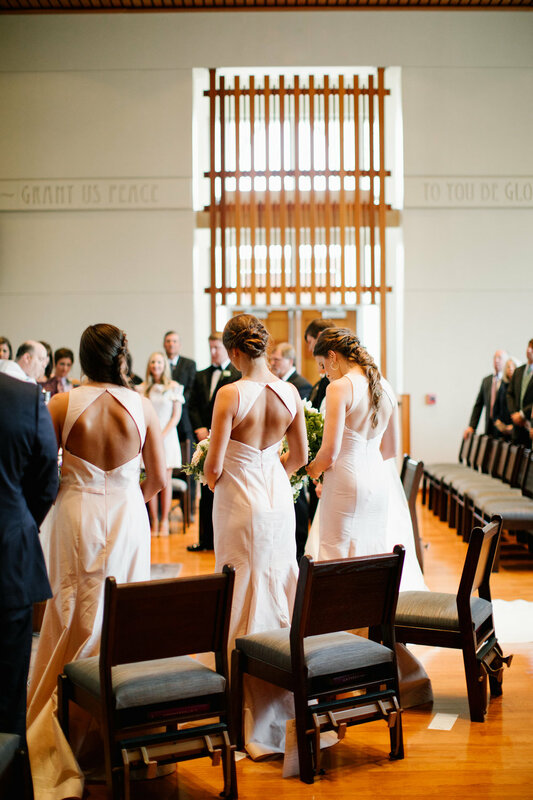 It was a beautiful ceremony, centered around Christ and the journey of marriage Cali + Arrington were beginning together. Paying respect to and keeping family close was top of mind. 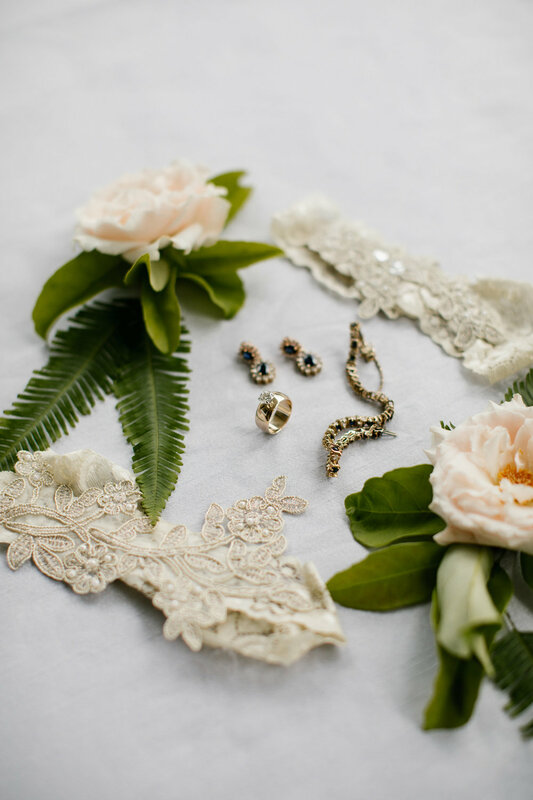 The bride wore jewelry from several women in her life that have been important role models. "I wore gold and Sapphire jewelry, as my birthday is in September. It was also my grandmother’s favorite stone and she passed away a few weeks before we were engaged. My bracelet I wore was passed down to me from her. My earrings are my “aunt” Stephanie’s who has been like another mother figure to me. My ring is my other grandmother’s wedding ring. She could not be present for the wedding as she has been battling Alzheimer’s for many years. They were there in spirit and it was so special to have a part of them there with me," explained Cali. I love all the special touches she incorporated! Another favorite moment was the father-daughter dance. Cali and her dad danced to less traditional song, "We Are The Champions". It was perfect for them! It's a song that she and her sister, Payton, have danced to in their home since they were kids. Everyone was cheering as they took the dance floor because it embodies the "Spell Family" mantra. Cali has such a tight knit family and loved that Payton joined them on the dance floor. She says, "It was a perfect moment that I will cherish forever!" I'm so excited to share more photos from this beautiful day with this amazing couple! 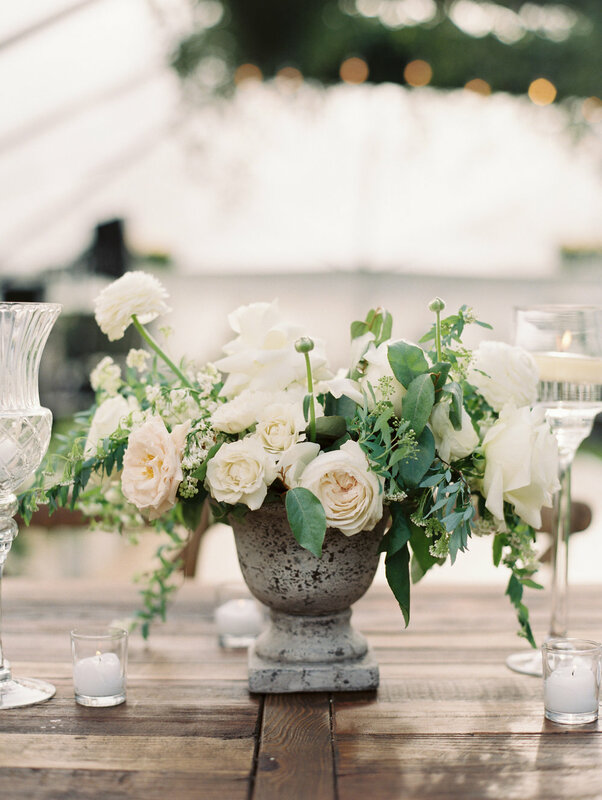 And don't miss Cali + Arrington's wedding film - it's such a gorgeous recap of this special day. A HUGE thank you to our amazing team of talented vendors. 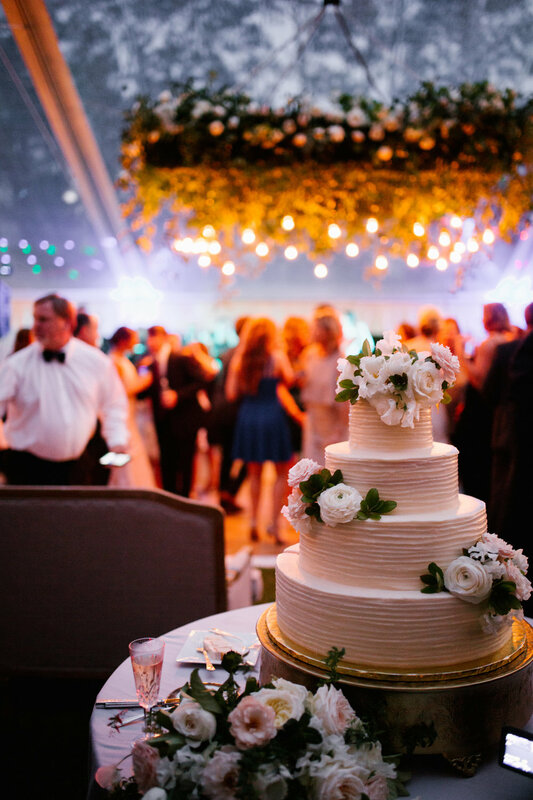 It takes a village to make a complex installation of a 330-person wedding, with multiple venues, flow seamlessly... but this team made it look easy! Cali + Arrington, thank you so much for allowing me to be a part of your special day! I had an absolute blast working with you both! Sending you two lots of love!